Modern day slave labour. Child labour. Worker exploitation. Environmental damage. Wouldn't it be nice to know that the money you spend on your natural stone project is not funding some practice that you would find unsavoury or unethical? 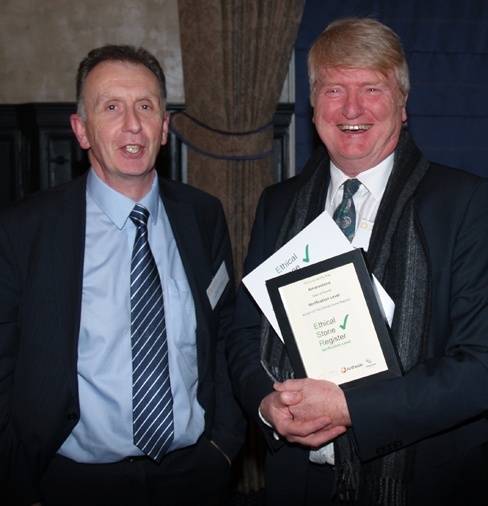 The Stone Federation of Great Britain, together with Diagenesis Consulting and Anthesis Group, recently launched an "ethical sourcing" initiative which culminated in the creation of the Ethical Stone Register. The Ethical Stone Register was officially launched at an event in Bloomsbury Square in London recently. The event was attended by architects, designers and representatives from the major construction companies as well as by members of the Stone Federation of Great Britain. This initiative aims to assist clients in making an informed decision about the companies they buy from and the questions they should ask when choosing natural stone for their projects. At Amarestone, we are excited to have been invited to be one of the first pilot members of the initiative and to contribute to the process of forming the register. The Stone Federation of GB felt that it would be a good test of the process to include a company that specialised in the supply of stone from other European countries and not just from its own UK based quarries. This involves examining how we ensure that our actions and the actions of our supplier quarries do not have a detrimental impact on the environment and on the people and communities involved in the supply of our goods and services to our clients. It is easy for us, or anyone, to declare that we are operating "ethically" but how would clients know that the claims are true? To be included in the Ethical Sourcing Register, the claims have to be verified by an independent organisation, Anthesis Group. We had to demonstrate in very practical terms that we operate sustainably and responsibly. This included interviews, examination of documents and tracking our company activity to ensure that our claims were fully suppported. We are very proud and excited to say that Amarestone has now been verified to the level of Tier 2 and included as one of the first three "verified" entries in the register. I would like to congratulate Hutton Stone and Burlington Stone for also being verified and included on the register. I understand the commitment and effort they have had to make to be part of this. 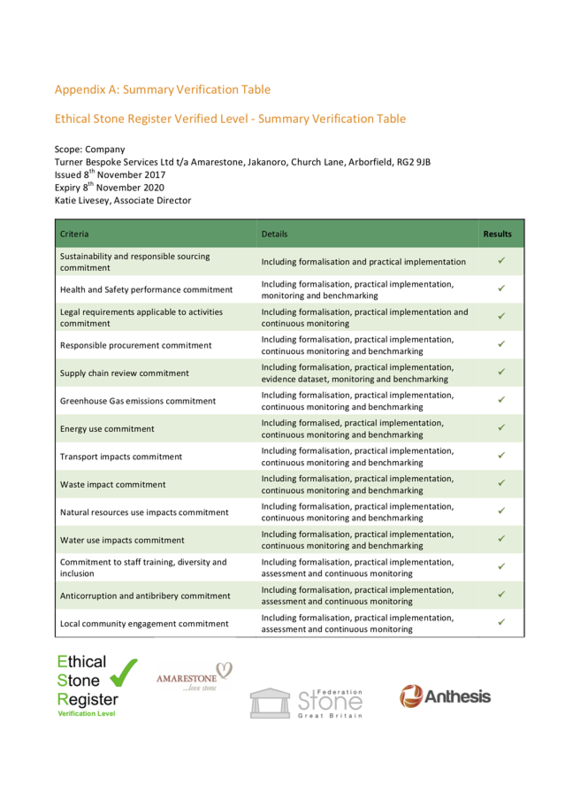 For us, it was an easy decision to get involved in the Ethical Sourcing Register pilot study. Over the years, we have got to know the people at the quarries which supply our materials. We have always known that our French limestone quarries, in particular, have operated to the highest ethical standards. They are governed by strict rules in France. That was one of the reasons we worked with them to start with. Many of our quarries are family owned businesses managed by people we have come to know and trust. If it is important to you to know the provenance of the natural stone that goes into your project, then you need to speak to us. If you would like to know more about how we can assist your natural stone project, please download our brochure.